“We have everything to get [big tournament] wins” said Hellraiser’s in-game leader ANGE1. His optimism was apparent when he said this at the EPL S8 Finals, but for many people it may have seemed misplaced. At least, based on what we had seen from Hellraisers in 2018. In the context of what Hellraisers may be poised to become in 2019 though, maybe this assertion is something to read into rather than scoff at. Consisting of star AWPer w0xic, impactful Jordanian rifler ISSAA and veteran support core in Deadfox and bondik, Hellrasiers rose to prominence in 2018 as one of the flashier tier two sides. At LANs they would scream after every big round when they were ahead. They were one of those teams capable of riding the self-generated currents of momentum to claim big victories. Their star pieces, primarily in w0xic and ISSAA could, on a good day, stand toe-to-toe with any AWPing/rifling star pairing in the top 15. What’s more, they were led by one of the most legendary IGL’s in CS:GO history in ANGE1. ANGE1 is a traditional leader. He talks of ‘waypoints’, entry-frags so he can die first and call the round from the death-cam, seeing all perspectives, and is older than all his players. He is no stranger to LAN play having his first recorded matches over a decade ago. His team managed some notable results given there was no expectations for such a hodge-podge team to do anything in the first place. They beat a fledgling North in 2xBo3’s at Bet.net with impressive individual play. They regularly qualified for big international LANs dominating dangerous online competition with ease. Most impressively, with a closely fought 2:1 victory over Fnatic they managed to make top eight of the major. 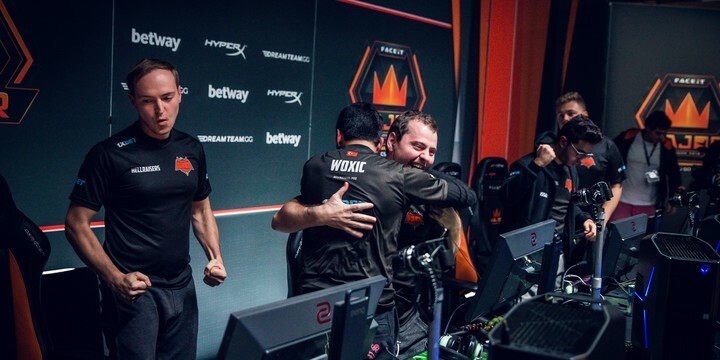 With a handful of disappointing results and lack of quick progression towards the end of the year, Bondik was replaced by HObbit. The move came just weeks before their last run of LANs in 2018. With this change, Hellraisers have managed to source one of the most individually talented players in the CIS region for one of their weakest. 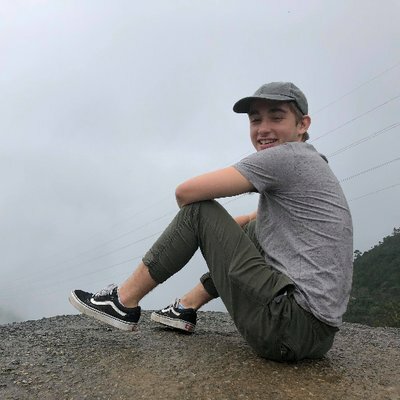 Their primary fragging core in w0xic/ISSAA/HObbit, on-paper now looks to be one legitimately capable of bringing down giants. They have the leadership in ANGE1 and role-balancing force in Deadfox to believe that this core can fire-off consistently as well. To be honest to you, we lost two events because we just are not yet ready to win. We are just not ready. I talked a lot to team and I say 'look at the rounds we lost'. We lost one round because HObbit didn't know what smoke to use, he just didn't play this role enough. We showed him the smoke some time again, but we played like Dust II three times so he just forgot it during the game and we lost important gun round. We then do some misplay, we miss a flash or do some bad timing move. So we losing it. The only way to fix this type of stuff is more practising, more official LAN games. ANGE1 is not the type of leader who thrives in the heat of moment-to-moment calling. He expects his players to be comfortable with the “structured rounds you prepare for a tournament where every player should know what he is doing.” HObbit should be familiar with this old-school CIS approach, he did, after all, come to prominence under the hand of Zeus in 2017. As such, time will truly be key for Hellraisers, and specifically, ANGE1 to merge his core together. While they are yet to win a Bo3 in the three LANs they’ve had together, Hellraisers managed to take a map off of the indomitable Astralis at the EPL S8 Finals. In fact, they were on the verge of upsetting Astralis in a 2:1 should they not have “basically thrown” the series on Dust II. In the occasional bursts of Hellraisers form like the Astralis match - amongst other performances against G2 - the latent potential of what makes Hellraisers dangerous can be seen. He's really good in terms of first contacts as CT. He's like, instantly killing the first guy he sees. He's picking positions that are really good. As T-side, it looked like he's pretty confident to peek by himself. But he doesn't understand properly when it should be done and when it shouldn't. So we're talking a lot to him - in the hotel room, all the nights - when he should peek, when he shouldn't, when he should ask for flashes, someone to come with him. All the aggression stuff needs to be structured effectively. The three of these players firing together isn’t too far away in terms of firepower from the Cerq/Brehze/nahtE or dennis/f0rest/REZ combos of NRG and NiP. In fact, the NRG comparison seems apt when you take into account the daps/ANGE1 and Fugly/deadfox parallels. Based on what we’ve seen from NRG in 2018, with two trophies, and consistent victories over Liquid/MIBR/Na`Vi, maybe the same wouldn’t be unreasonable to imagine for Hellraisers also. This doesn’t necessarily mean that Hellraisers 2019 = NRG 2018, but NRG’s 2018 run does start to lay the groundwork for what’s actually possible for a team of their build. Hellraisers is a side that, despite what we’ve seen from them with HObbit so-far, is totally capable of winning a cs_summit or IEM Shanghai level event. While they mightn’t look it, Hellraiser’s in 2019 could very much become a top eight to six team. Or in the ever optimistic, seasoned words of ANGE1 “next year we need to go forward, we need to go like, towards the end of next year, at least a top five team.” Maybe it’s not such an unreasonable goal?